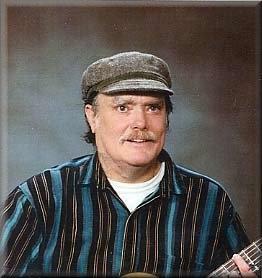 DESCRIPTION: David Rogers- solo classical guitarist, dynamic fingerstyle guitarist, and singer. I sing and play original songs and covers. My instrumental guitar repertoire ranges from classical (Renaissance, Baroque, Classical, Modern) to modern fingerstyle guitar, including Celtic, ragtime, blues, Gypsy and acoustic arrangements of jazz and pop tunes. I am experienced at weddings, special events, funerals, dedications, ambient restaurant music, outdoor events, farmers' markets, bars and coffeehouses. BIO INFORMATION: David Rogers, classical guitarist and singer-songwriter, has been performing in public for over thirty years. He was exposed from early childhood to the classical music masters Bach, Handel, Beethoven and Mozart; and later exposed to some of the world's finest folk, jazz, rock and pop music in his teens and young adulthood. He has processed these influences into a life's work of dedicated music making, performing in thousands of venues. Combine virtuoso classical guitar technique with a wide knowledge of world music, and the result is the amazingly versatile guitar music repertoire of David Rogers. Here are settings of Irish and Scottish music, Balkan Gypsy dances, and classical guitar masterworks from all over Europe and the Americas, punctuated with amazingly lively rhythm, with sensitive and expressive quality of tone. Though his primary music focus is as a soloist, Dave has performed with such diverse music groups as the Eugene Opera Chorus, a Balkan music dance band, and a blues-rock band. 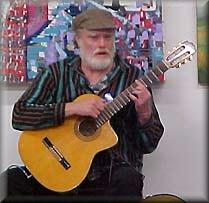 He graduated from Southern Oregon University with a Bachelor's degree in classical guitar performance in 1991; and graduated from the University of Oregon in 1996 with a Masters degree in classical music history and Ethnomusicology, and wrote his masters thesis on Turlough O'Carolan, the 18th Century blind Irish harper. Please note David Rogers will also travel to Springfield, Alvadore, Junction City, Thurston, Veneta, Cheshire, Harrisburg, Elmira, Greenleaf, Pleasant Hill, Creswell, Marcola, Noti, Saginaw, Lorane, Halsey, Cottage Grove, Lowell, Monroe, Fall Creek, Brownsville, Blachly, Crawfordsville, Dexter, Shedd, Walterville, Walton, Curtin, Dorena, Sweet Home.